Log in to GTA Online at any point between February 16th and 26th to qualify for a GTA$250,000 stimulus bonus. 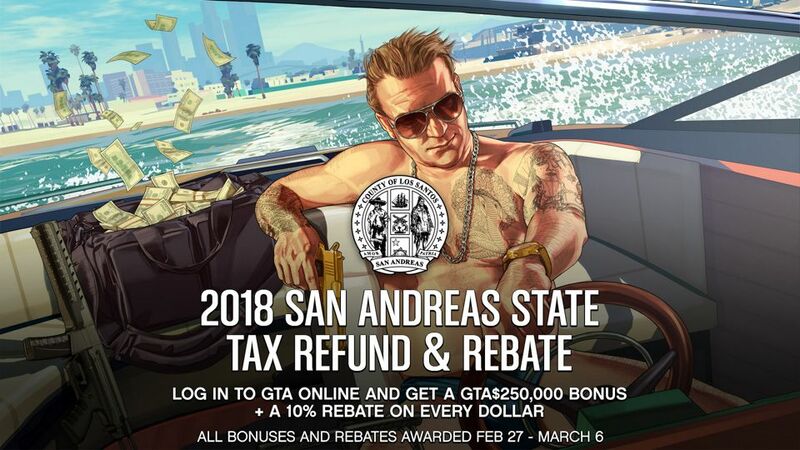 Also, all GTA$ spent in GTA Online between February 16th and 26th will get you a 10% rebate (up to GTA$1M cash back). Then come back after February 27th to claim your GTA$ stimulus bonus and GTA$ rebate.